ICYMI, OnePlus announced the OnePlus 6 today. Here are a handful of videos from YouTube.... these creators have you covered. There are obviously several other videos, but these are a few that stood out to me as being high quality (and popped up first on my feed). Feel free to share the links to any others that you come across below. What do you all think of the new OnePlus 6? The price is $600 and OnePlus has embraced the notch... that seems to be the trend so far in 2018. Cost is still relatively low compared to others with the same target market, but at the same time, do you really need (or even want) a smartphone like this? The way I see it, my 2014 phone does everything I need it to do... and it does it well. The way I see it, I don't think there will be a reason for me to upgrade my iPhone 6 to a new phone until at least late 2019. Of course, don't feel pressured to limit this discussion to OnePlus 6 talk. Sure, we can focus on OnePlus and where we speculate they are headed, but we can also talk about smartphone trends in general. I think the market is peaking out (or rather likely already has). What I think (or at least hope) we're going to start to see now to see now is lower prices and battery improvements. Smartphone manufactures may eventually need to add these things to keep consumers interested in buying more. What are your smartphone essentials? Let us all know. And don't forget your thoughts on the new OnePlus phone! One of the the things that held me back from a few phones was that stupid notch, not to mention everyone claims the iPhone did it first and android is just copying the.....hey zombies, android has it first and did it better. But that's neither here nor there, I prefer my galaxy s9 plus as I got it for under 500 after trade in and I also got the dex dock for it too. The price of the one plus, with it's all sleek glass look is so so to me. One plus use to be great as they appealed to areas that were cheap but great, and now they compromised too much to be mainstream and its lost its luster and appeal. The one plus lost its roots imo, and is no longer worth owning. I quite like the look of the honor 10 phone that was on unbox therapy the other day. Will be interesting to see a more detailed review of that phone. I currently have the iPhone 6s and to be honest was slightly disappointed in the iPhone X (was gonna be my contract upgrade device) so I’ve held on it. Although I do have an iPhone 7 sitting doing nothing which I may convert to - only downside is it’s a 32gb variant and my 6s is 128gb. Would have to delete unwanted pics / vids and offload apps to make it viable to use as a daily. I think the main reason I have stuck with Apple is the OS, but there’s no denying the fact that in certain technical aspects Android devices are leading the way. Which is good as it drives innovation and development. Think @nigelhealy was along the same line of thought recently if I remember correctly. They are nice phones. I mean a lot of phones nowadays are all much of a muchness - All relatively the same and all extremely expensive. Maybe as I’m getting older I’m getting past the stage of always wanting the latest flagship model. Looks great. Literally my only gripe is no wireless charging, but I guess they needed to skip a feature to justify a 'T' model near the end of the year. Lol. Also, @joshuad11 mentioned that it costs $600, but the base model is $529 and the process goes up depending on RAM, storage and the particular back glass design/color. Looks like a great offering, but I'm probably going to pass on this one because no wireless charging. I've embraced wireless charging completely, it it's a deal breaker for me. The current market for mobile phones is too saturated. For me, I like mobile phones that have a very simple operating system because we don’t really need to use a lot of features. Less is more, I still believe it! Then a standard flip phone works for you then right? I always flash my phones with some AOSP ROMs like LineageOS. I like OP6 on paper. I hate the notch but I love it that most Android phones that embraced it have ability to turn it off. I've always been interested in rooting my Android phones and putting an AOSP ROM on it, but never have. Do you have a step by step guide that could walk me through it? I have owned / used the OnePlusOne, OP2, OP3T, OPX. I have also owned Nexus 4, Nexus 5, Moto G4 Play. This last week I put LineageOS 15.1 on my MG4P and on a 2013 Nexus 7. Because I can. In total across everything I have a 2016 Moto G4 Play with LineagOS 15.1, OnePlus 3T with stock, Nexus 7 2013 with 8.1, Lenovo Tab 4 8 Plus, Nexus 10 on Pure Nexus 7.1.1, Google Pixel C on 8.1, Chromebook, and Windows 10 laptop. And some Raspberry Pi clones on Debian. I am conflicted. I can spend a day with a $99 2016 Moto G4 Play and it works well enough. So you can be OK with older cheaper tech. I have a 4 year old 7" tablet with current shipping Android and it works quite well too. I have cracked open and repaired Nexus 7 and Nexus 10 and got a decent 4 years life. 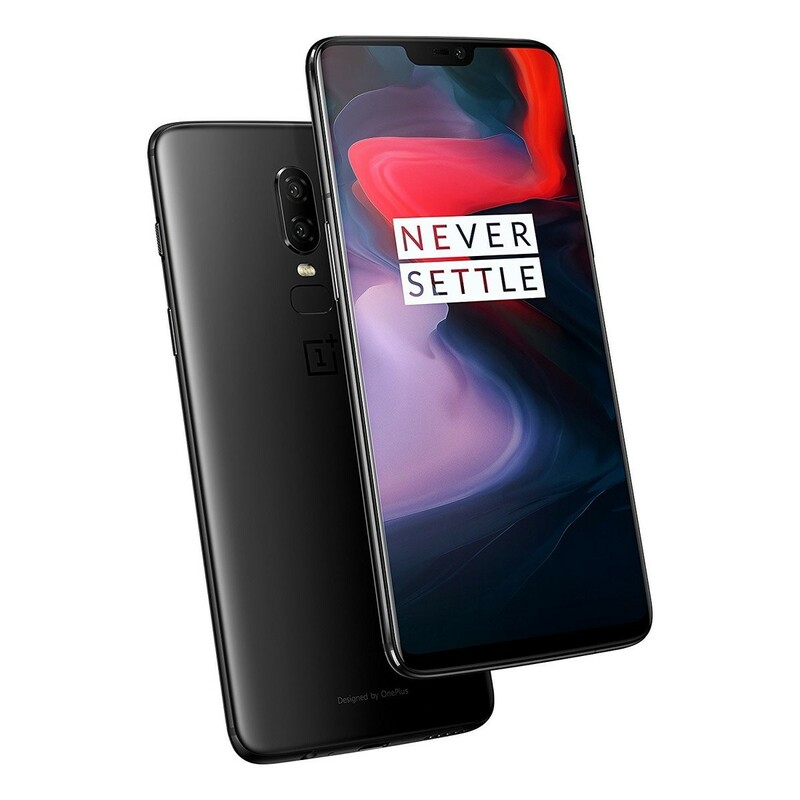 The biggest problem I have with the newer OnePlus is the creeping increasing price. I am not clear the extra money does actually make a sufficiently better product. What I think is happening is OnePlus copying Apple's hype bubble of milking a brand. It really depends on your model. The process consists of rooting your phone (for some phones there are on click apps or PC apps ,for some phones you will have to use ADB ,some commands in command prompt on Windows for example). You also have to unlock bootloader on newer phones. The next step is installing custom recovery which gives you ability to flash new ROMs , backup your current ROM and a lot of other things. It all might seem overwhelming at first but after doing it once it's a piece of cake. So I ordered one today. - my current phone OnePlus 3T does not work too well when travelling, it dates back to when a USA vs non-USA model, there has since been a single global phone. I am entering 4 month period of a lot of traveling, so the OP6 with probably be with a Powercore II 6700 and probably an Anker Solar panel. Next month I am cleaning my tent for a long off-grid event later. (*) I have 160GB of downloaded media as a start. (**) I will be taking a lot of photos so storage + better camera. Exciting times! Please let us know what you think after you've used the phone for a while whenever you have time to sit down and type, but sounds like you're going to be quite busy. Next month I am cleaning my tent for a long off-grid event later. My OP6 being shipped from Hong Kong via DHL. I could have it tomorrow but I'm busy so asked DHL to delay. I just spent a busy day with lots of movement off grid and I was with OP3T and a Powercore II 6700, Soundbuds Slim+, Powerport2, Powerline. It all worked ok but for having to press the Powercore power button to keep the buds charging. Phone, battery, buds. That needs to work better. Where are you going? Four months traveling, It's quite a long time. I ordered Xiaomi Redmi Note 5 because of huge battery. Seen some reviews online and they say they can get 8-10 hours screen on time. I'm not really into flagships anymore these days. Not much they can do better than your regular phone. They do make better photos with their cameras though but I can't really have a phone that I need to charge in afternoon each day. Nothing wrong with the notch. In fact, I think it's a bonus provided that there are ways to disable the notch when not using an App (e.g., playing Clash Royale). Apps could utilize the notch to their advantage if they wanted to (e.g., adding a few customizable buttons). Phone delivered in my hands last hour. Unlock bootloader and root next to fix those annoying ads. 256GB of storage, why would anyone want that? It is good "value" in its $100 more for 4x the storage but....why....? What on earth would anyone in a small device like a phone do with that?